The Elm stove is one of the finest woodstoves ever manufactured. This website is the most comprehensive online resource for The Elm wood stove. 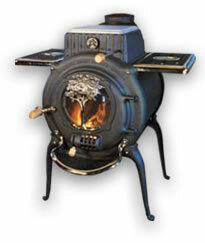 You'll find original equipment parts from the genuine Elm wood stove foundry patterns. Please visit the new Blog page to learn about the latest work being done to preserve this line of amazing heaters.